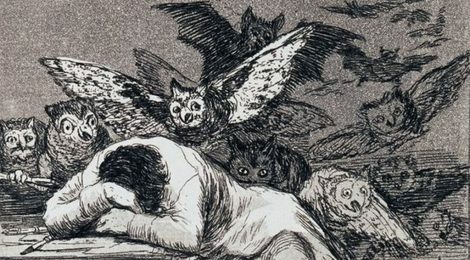 ‘The Sleep of Reason Produces Monsters’ is an etching by painter Francisco Goya in 1799 of the artist sleeping while nightmarish creatures fly above him. Around this time, Goya suffered deteriorating health and a mental breakdown, leading to much darker and more introspective works. 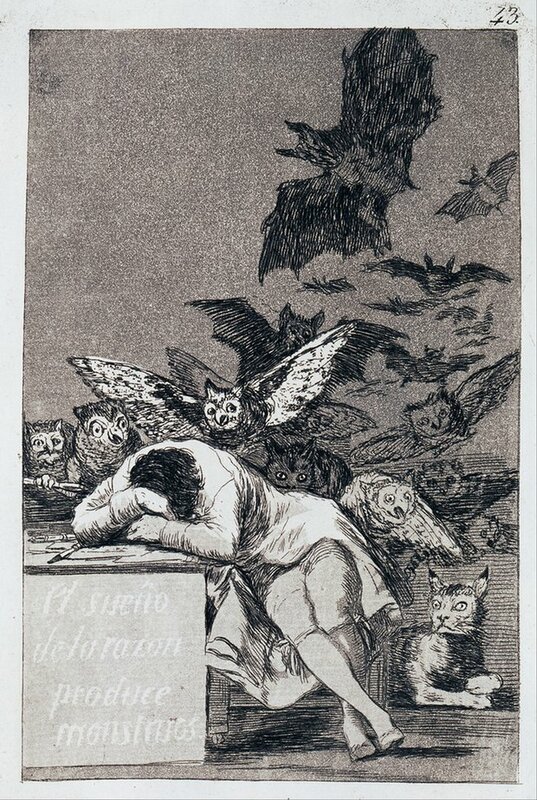 This piece reflects Goya’s belief that reason is only partially responsible for ruling our minds and that art should reflect both reason and imagination.